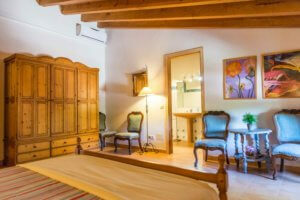 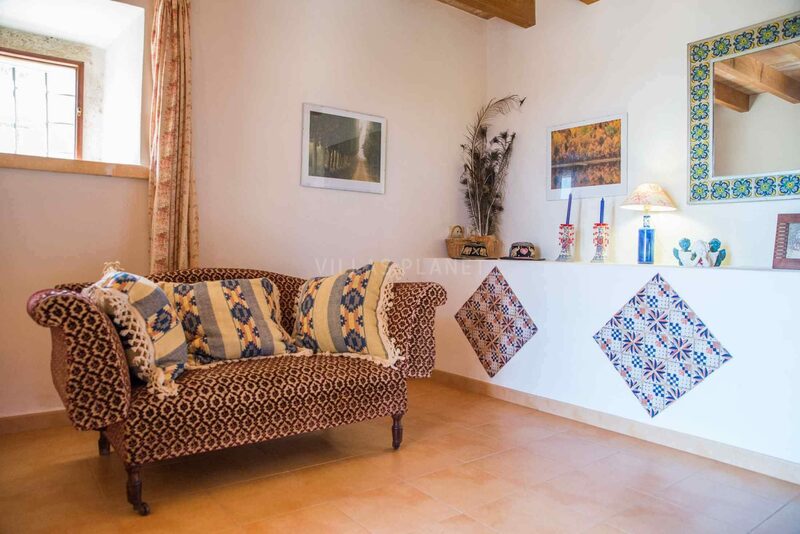 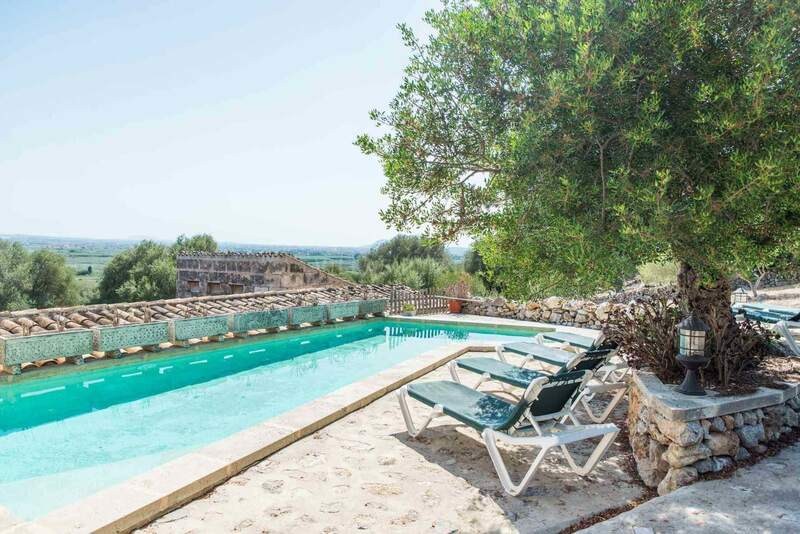 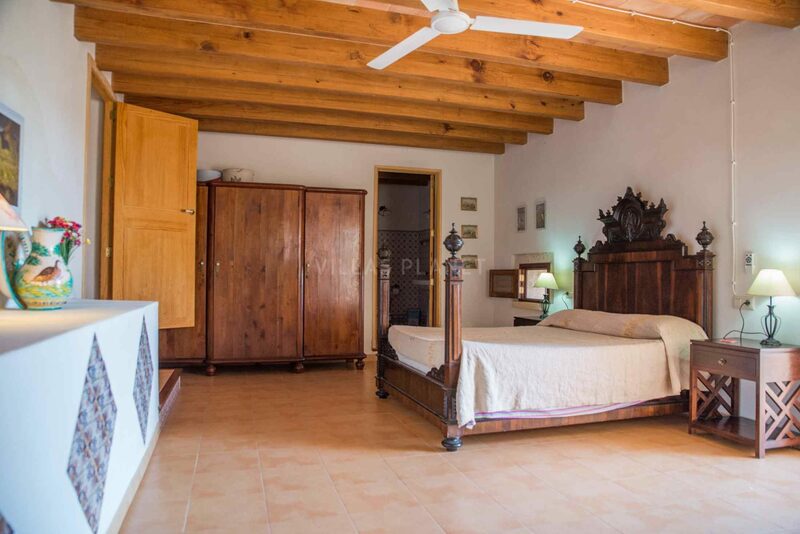 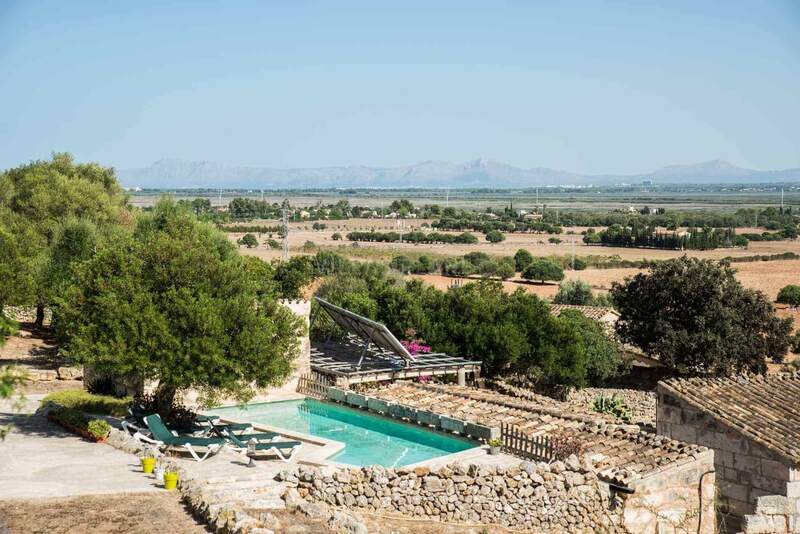 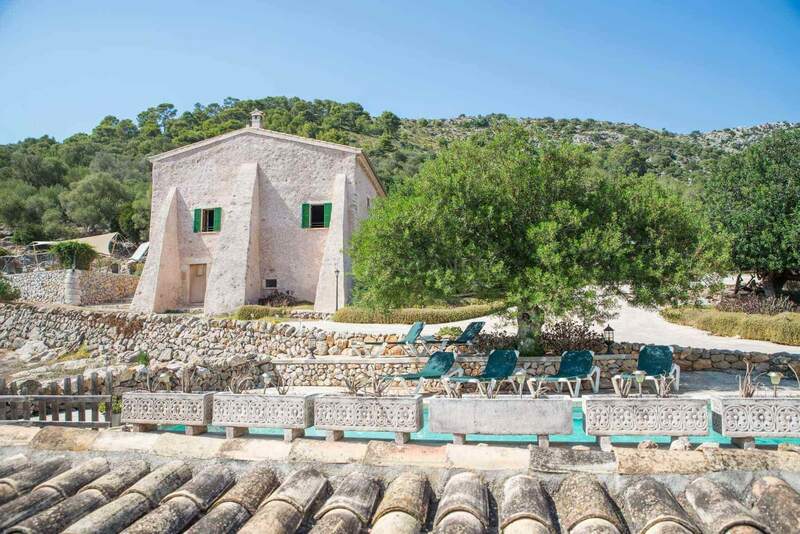 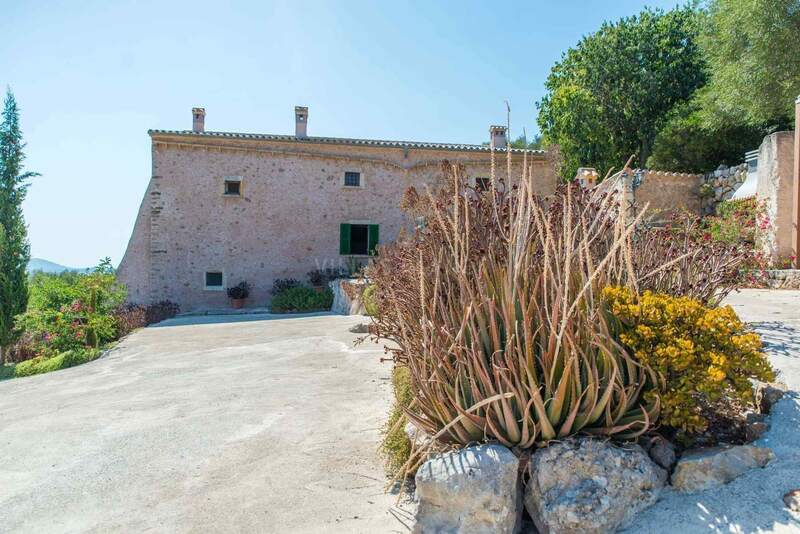 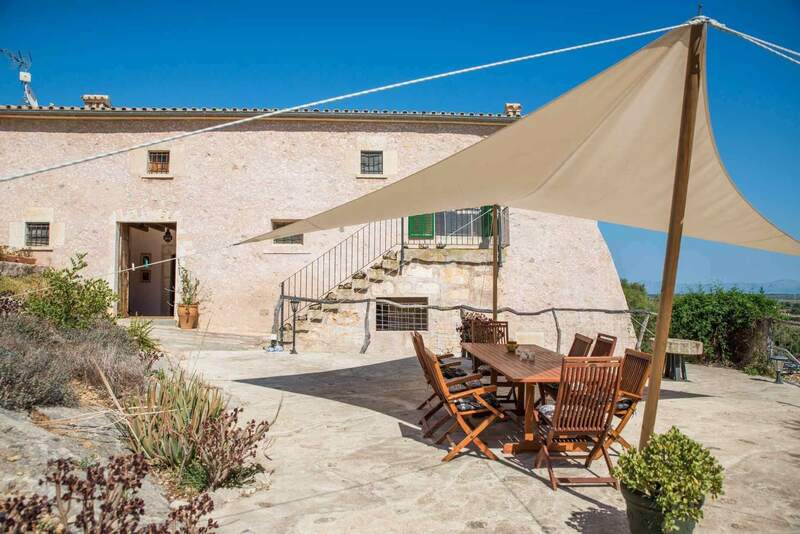 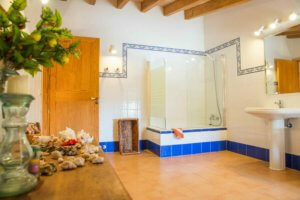 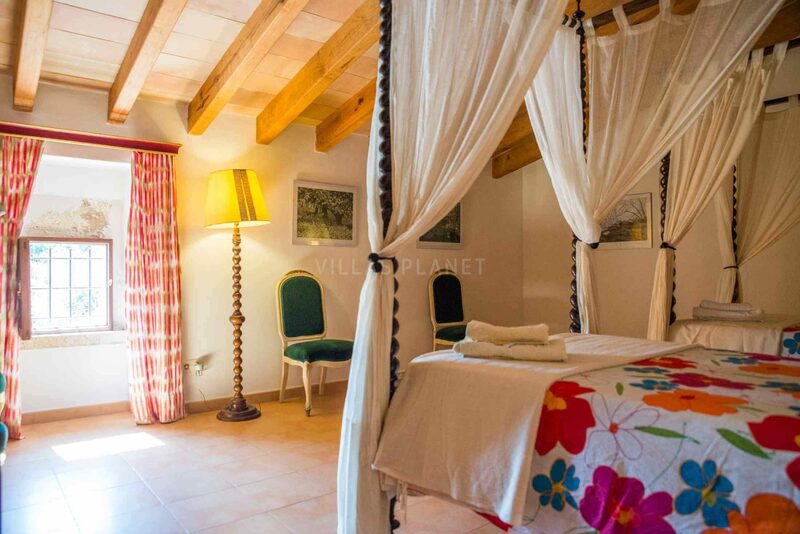 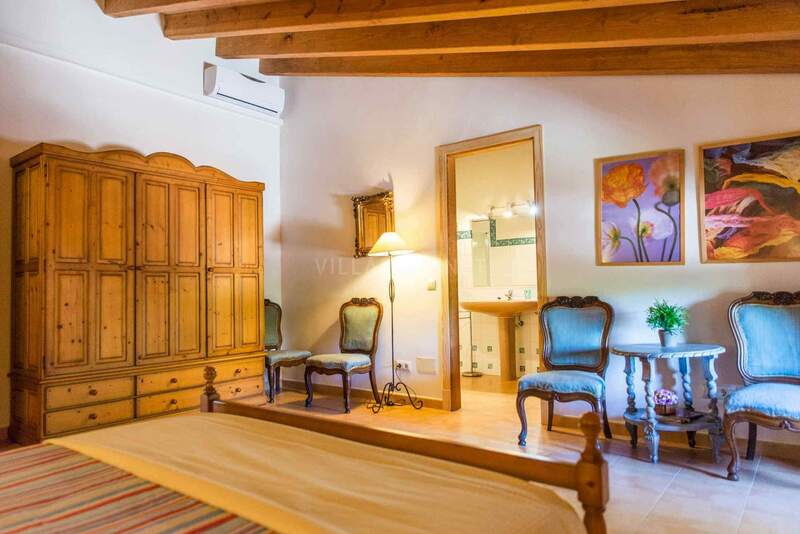 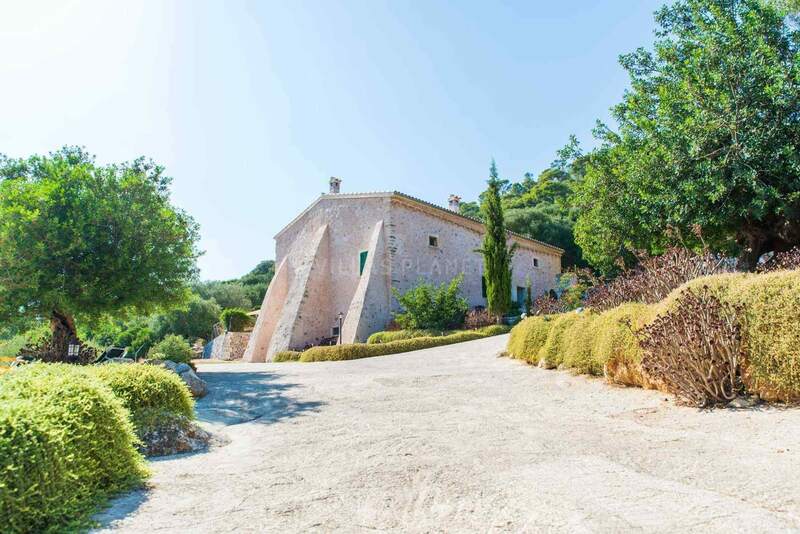 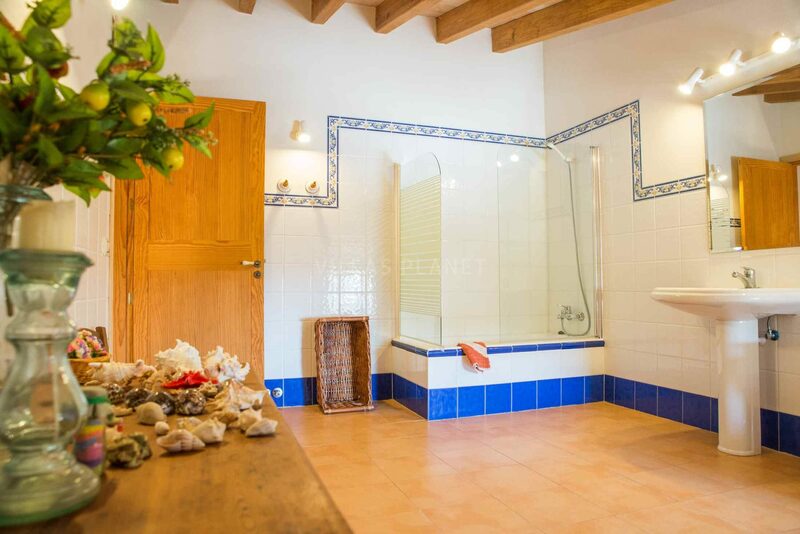 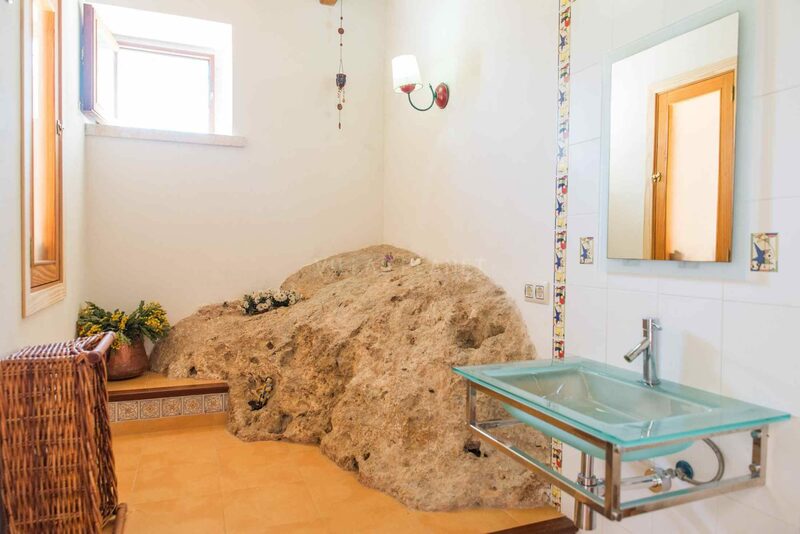 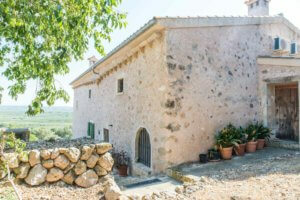 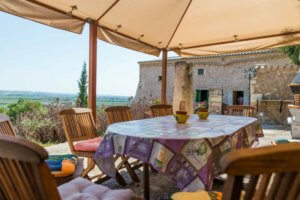 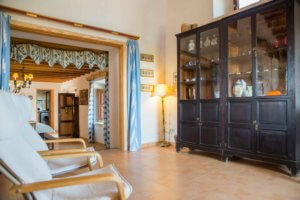 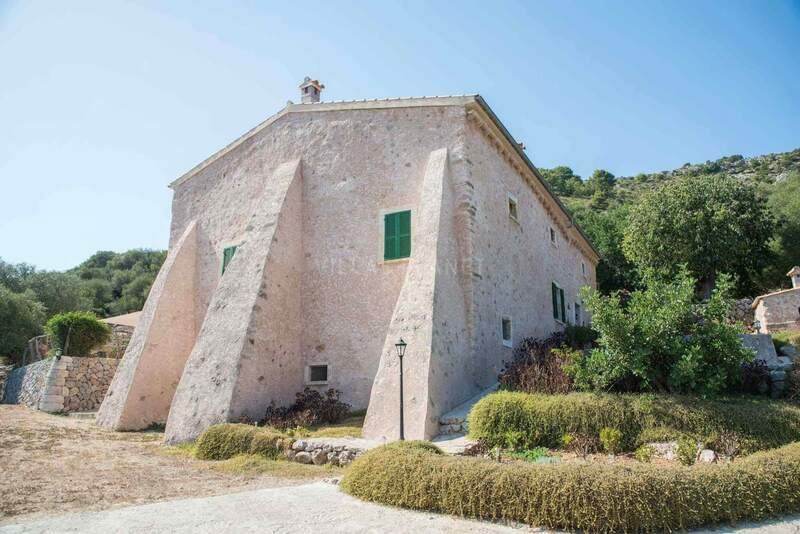 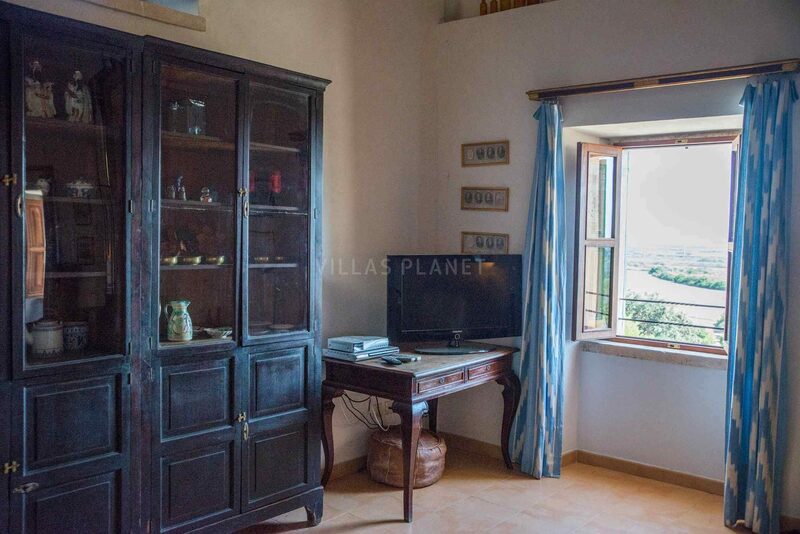 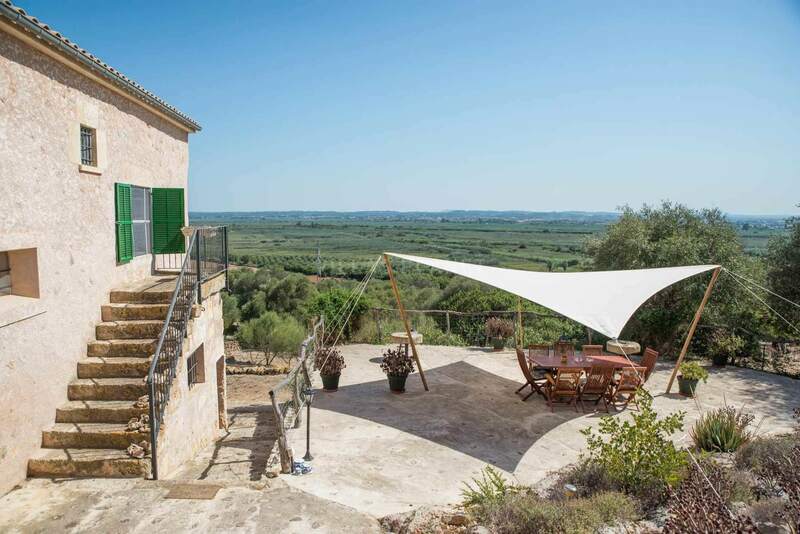 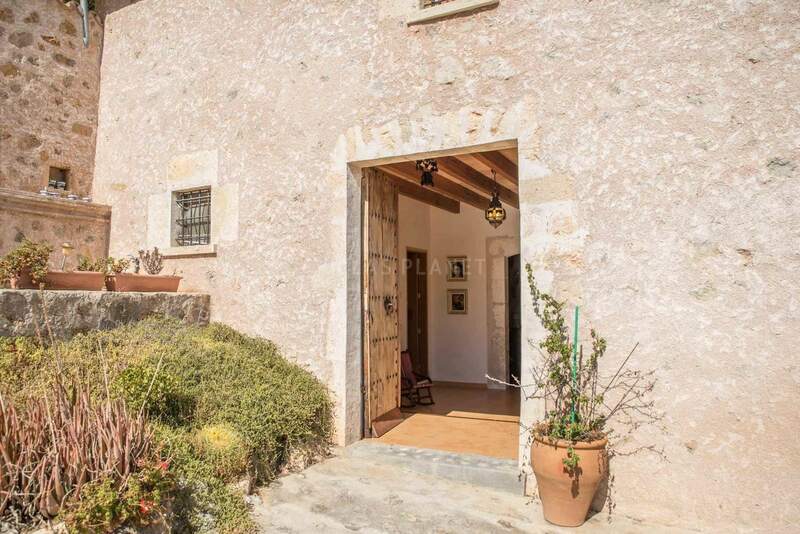 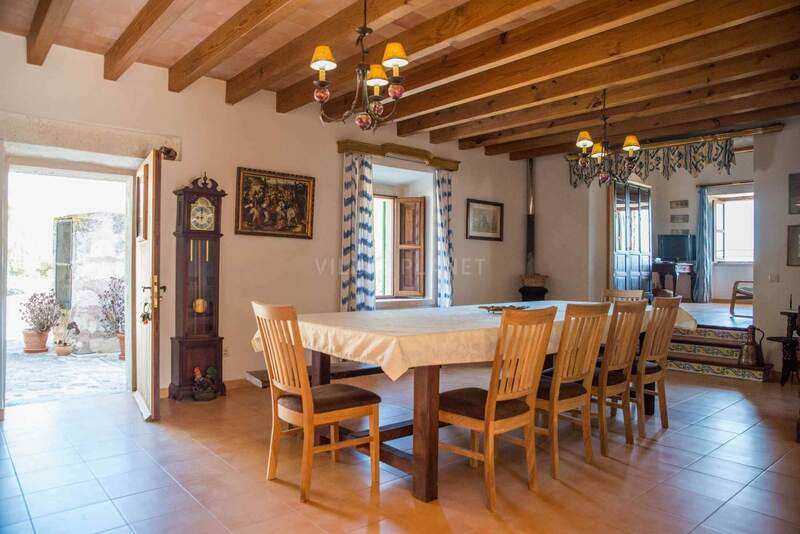 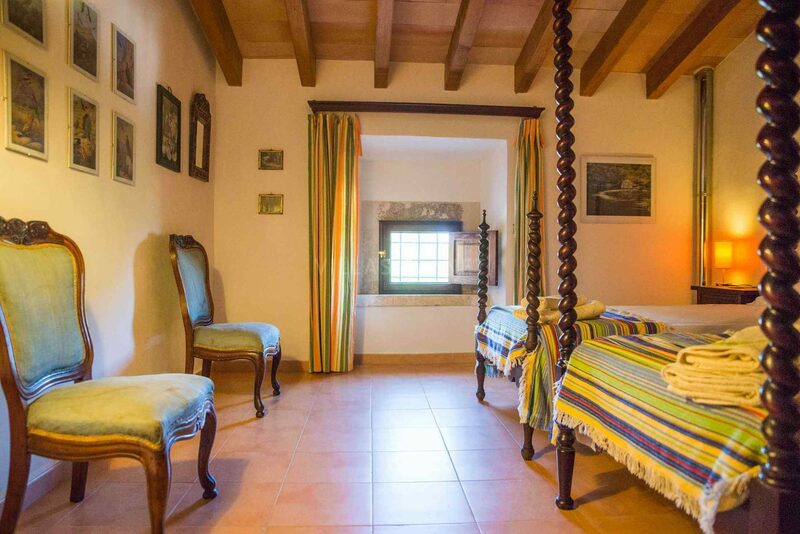 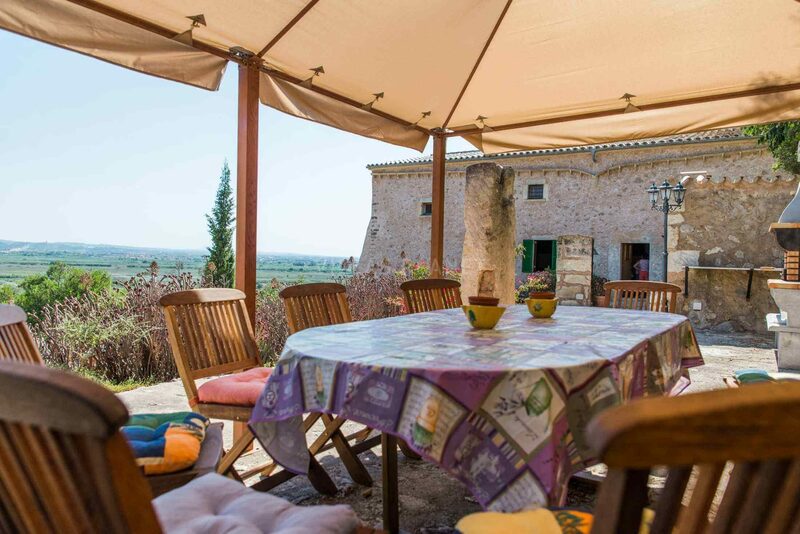 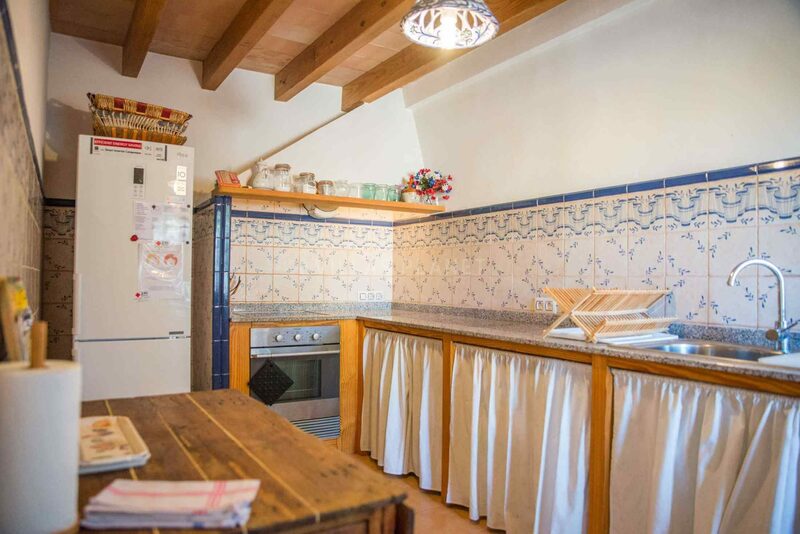 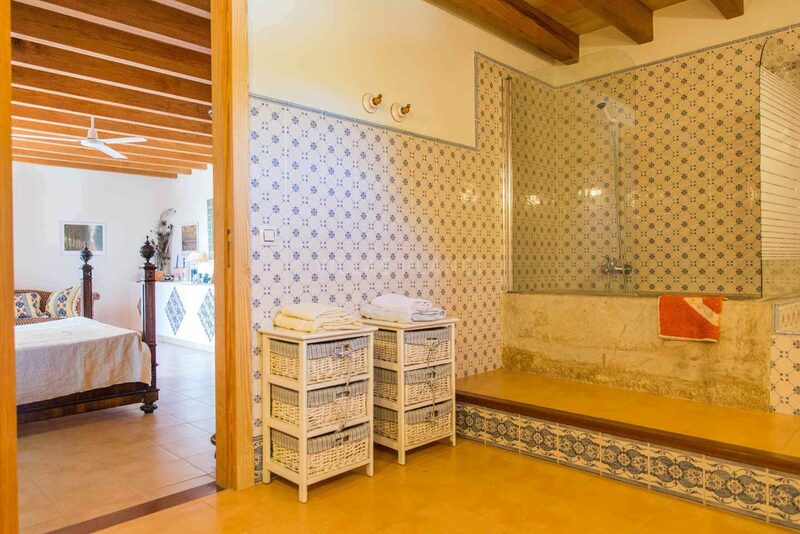 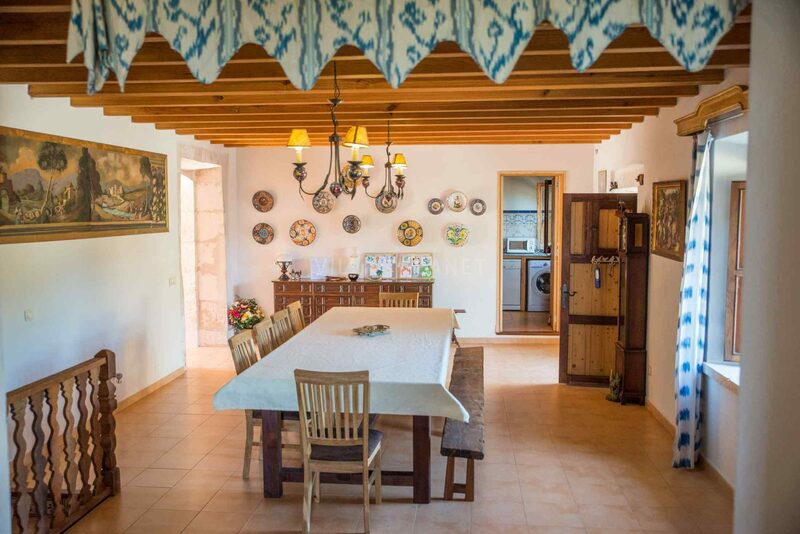 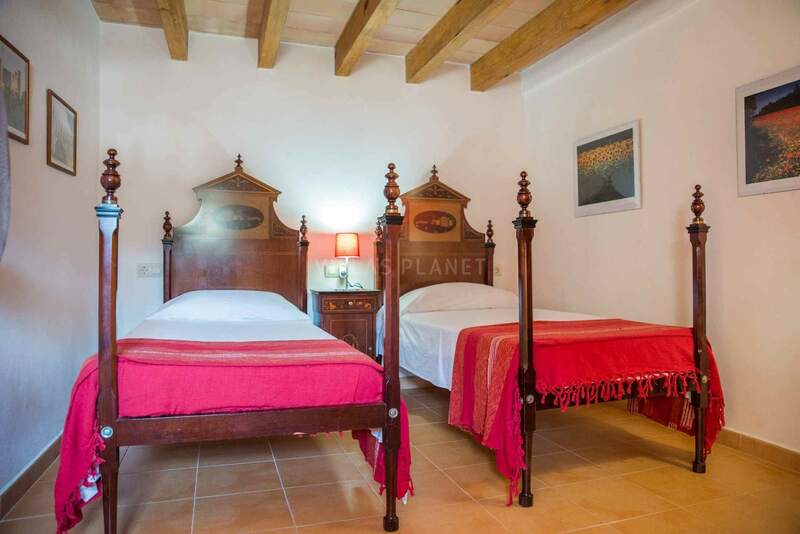 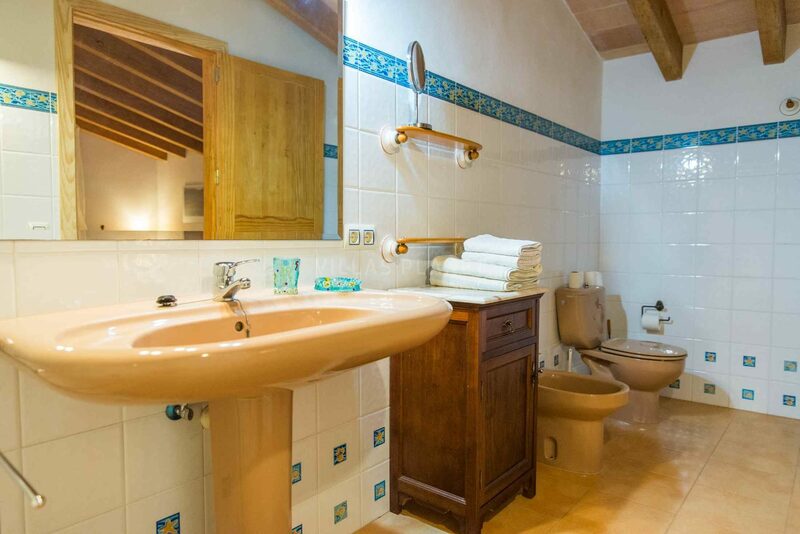 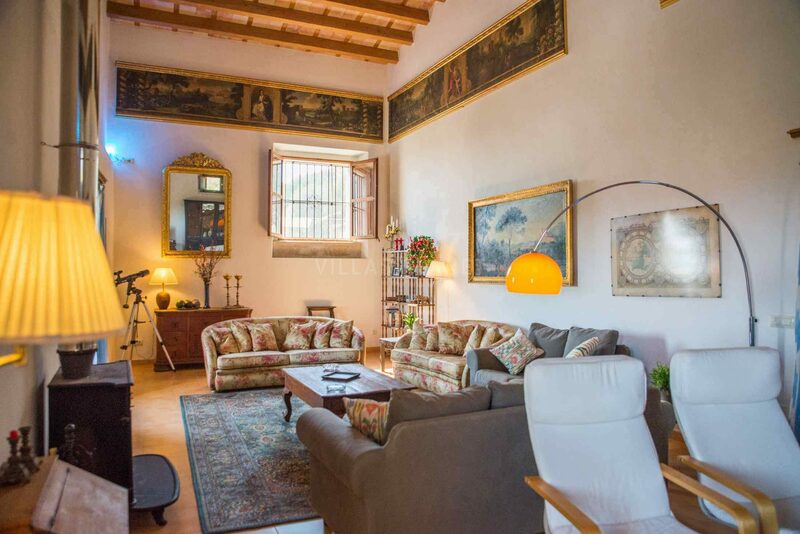 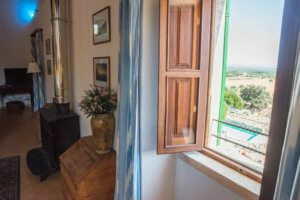 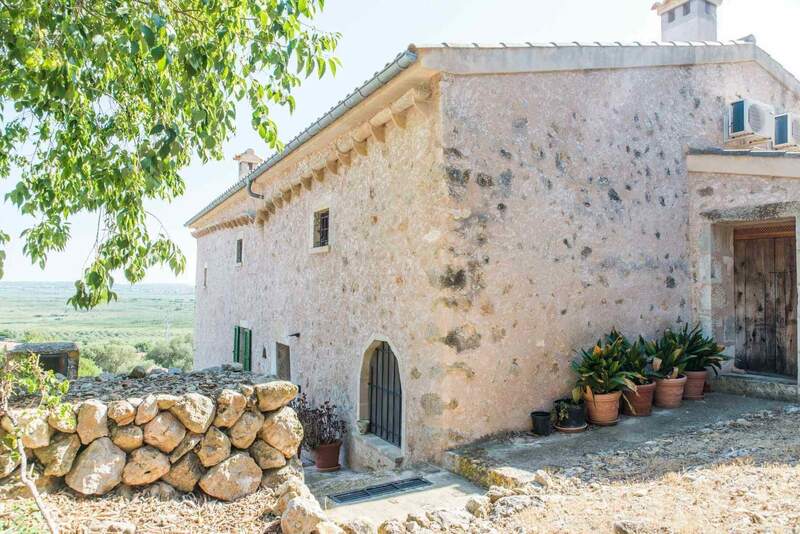 Country house of the fourteenth century restored preserving its own character with panoramic views in a quiet location and just few minutes driving from Alcudia and Alcudia Bay. 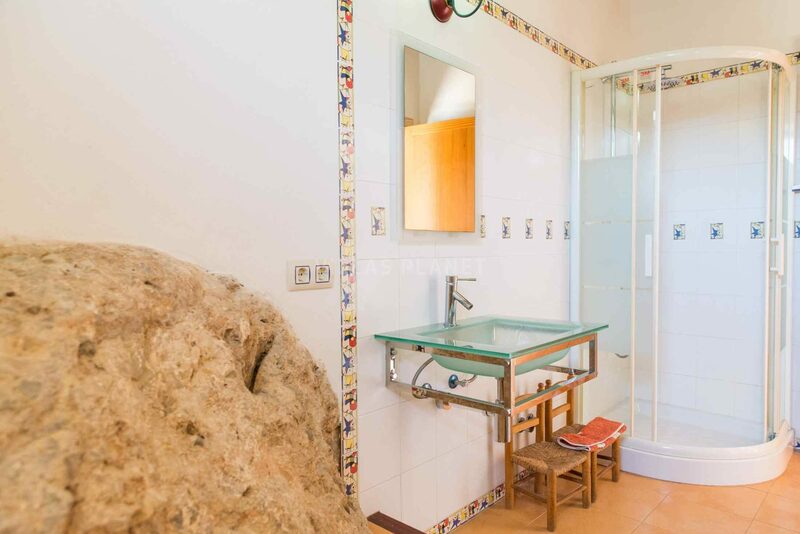 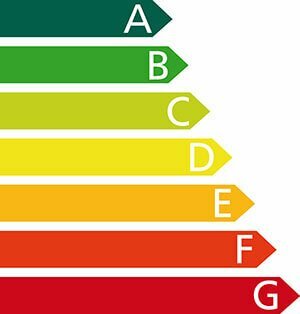 Important note; The house has a system of self-sufficiency in power, has a enough equipment of photovoltaic panels with batteries and backup alternator, which requires at all times a REASONABLE and EFFICIENT consumption by the customer. The house has five bedrooms, 4 bathrooms (2 en-suite). 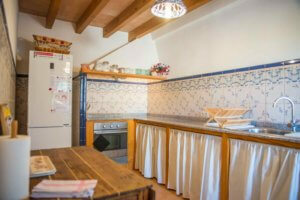 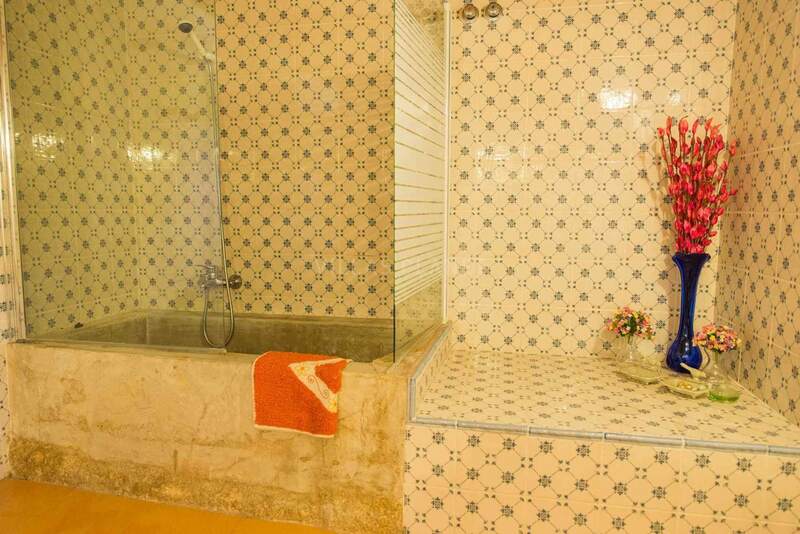 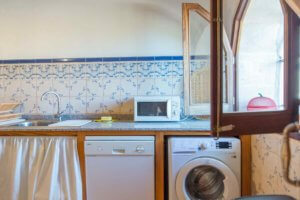 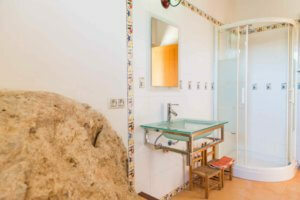 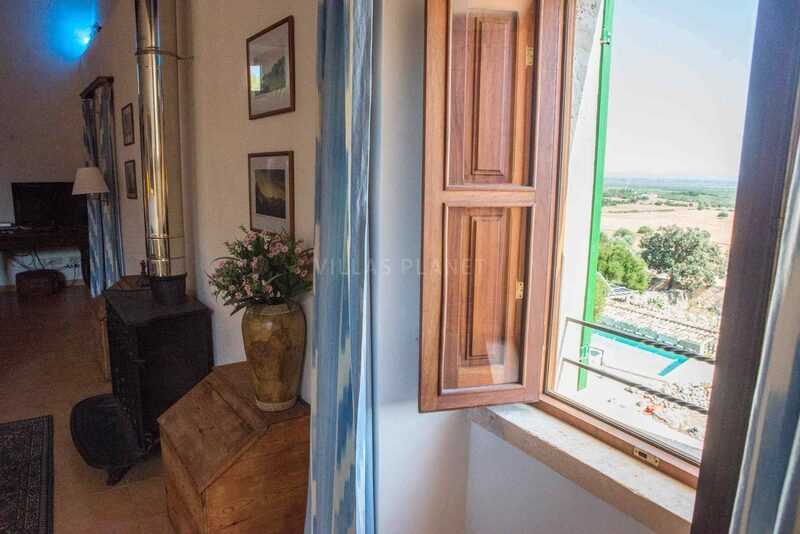 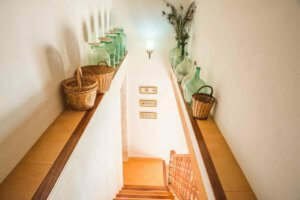 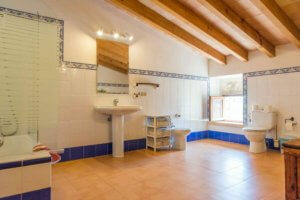 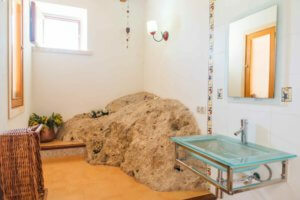 It is in 3 levels, at the groundfloor, one bedroom with double bed of 1.40 cm with en suite bath and direct access. 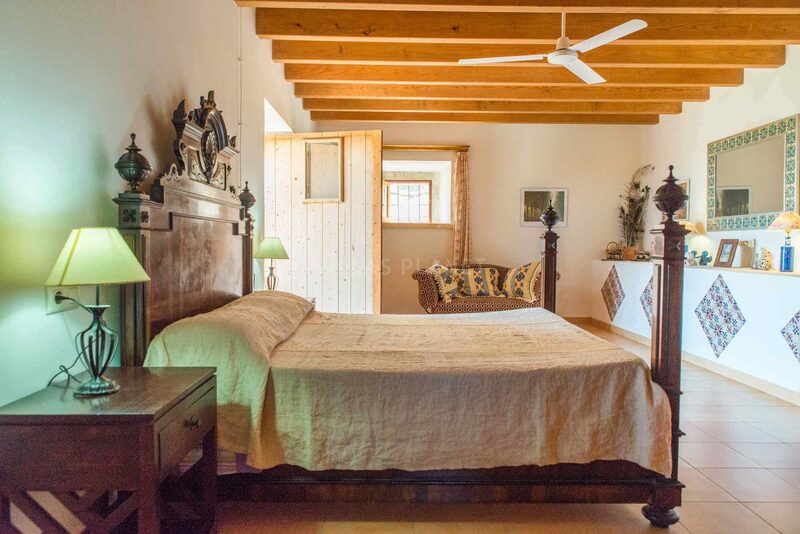 The main floor has a large living room with fireplace, large separate dining room, fully equipped rustic kitchen and a bathroom with shower. 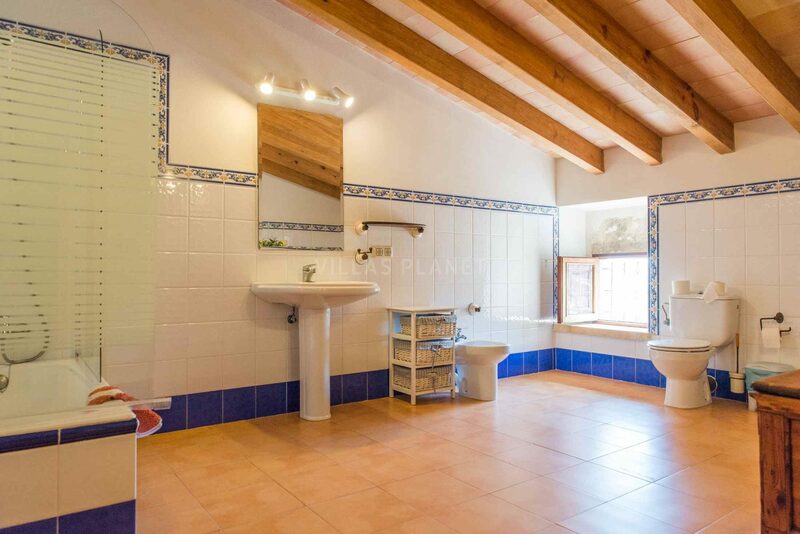 Upstairs, four bedrooms, one with en-suite bath and a bed of 1.60 cm, two bedrooms with two beds of 0.90 cm, and another bedroom with two beds of 1.05 cm, and a large bathroom with Bad. 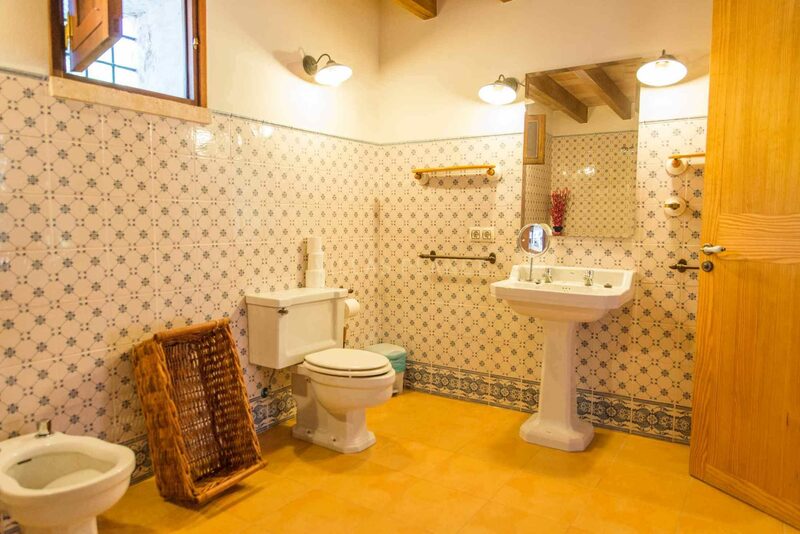 Equipped with satellite TV. 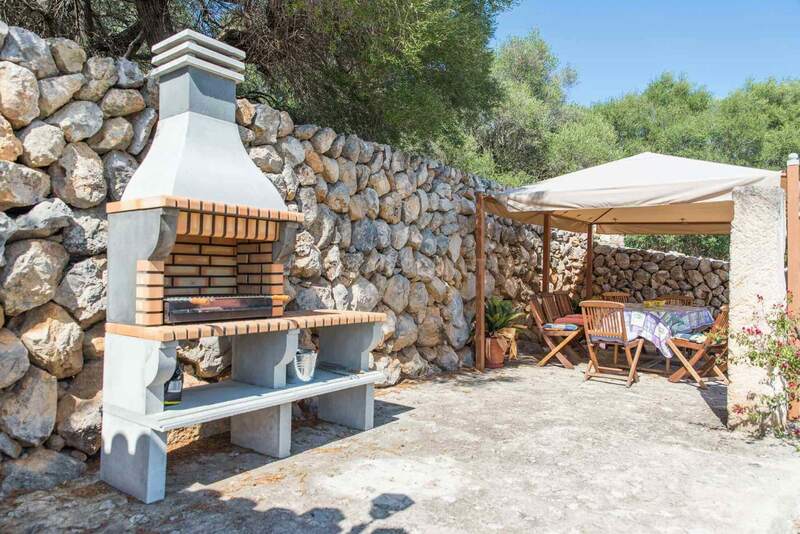 Outdoor barbecue area with pergola and garden furniture and other garden area with awnings for sun protection. 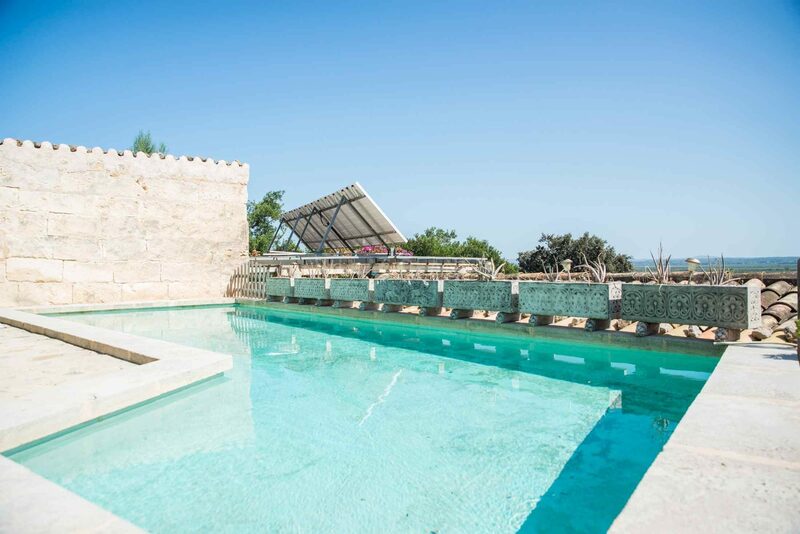 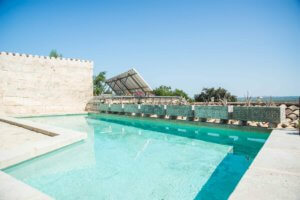 The pool is in front of the house with a solarium and a panoramic views. 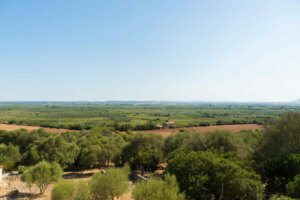 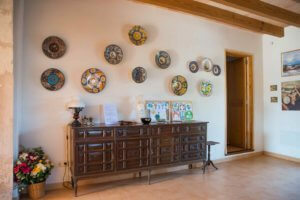 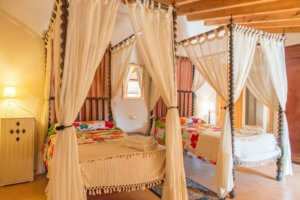 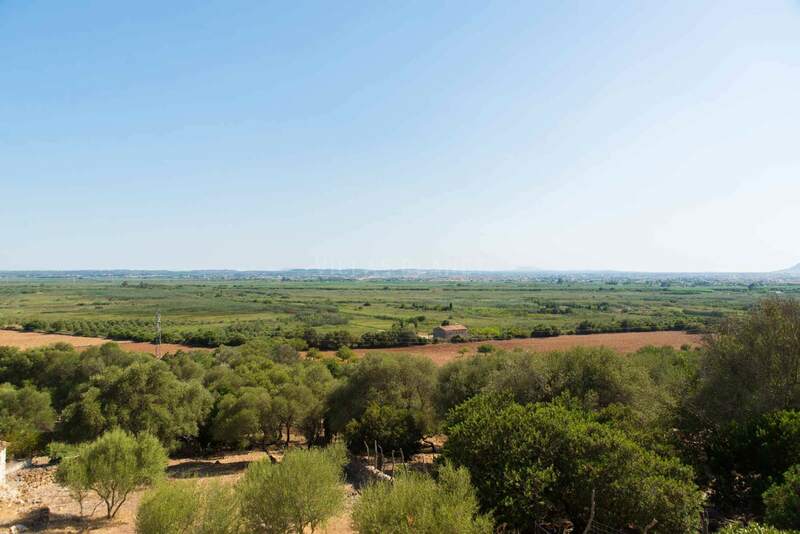 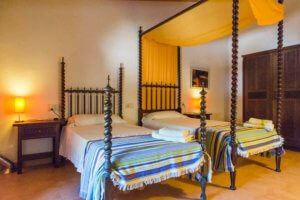 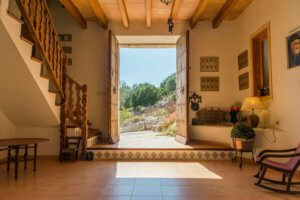 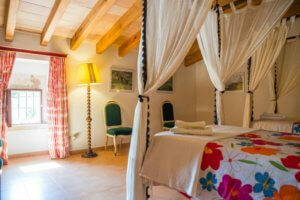 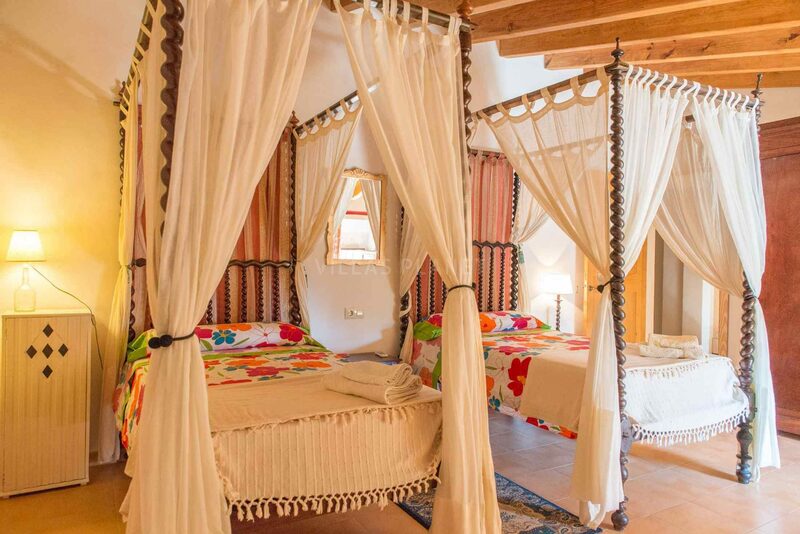 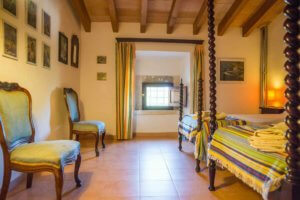 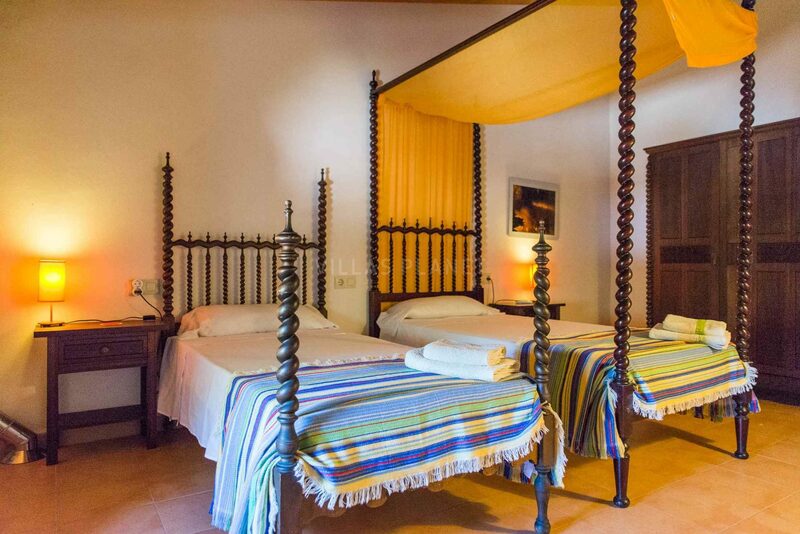 This finca has a mediterranean landscape: olive trees, carob and almond trees, dedicated to the livestock of sheep.